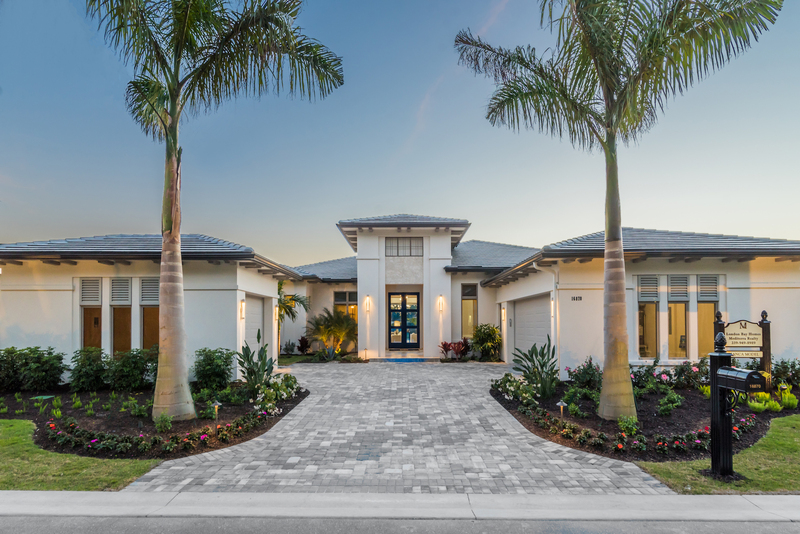 London Bay Homes has the privilege of being a preferred builder in many award-winning communities in Southwest Florida and every one of them has a special feature – or sometimes many – that make it worth the trip for anyone looking to make Southwest Florida their home. 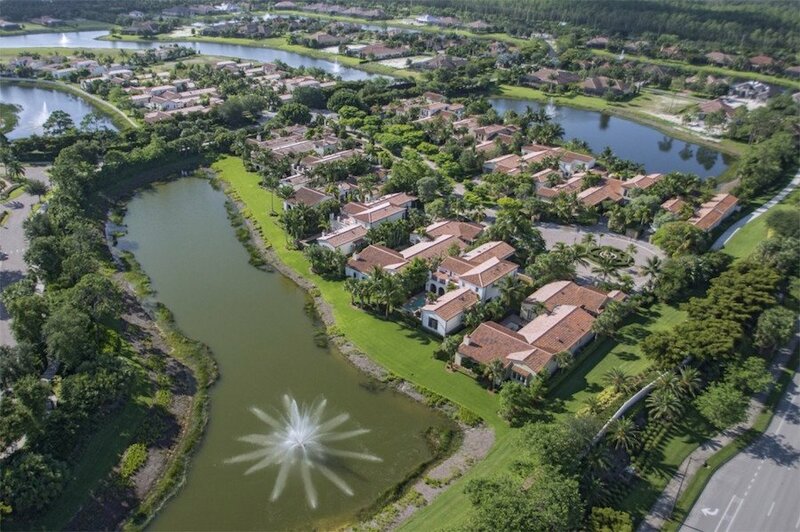 Our featured community for this month is The Lake Club in Lakewood Ranch where homeowners can experience a luxury living lifestyle in a Tuscan-inspired private community with many amenities and gorgeous luxury custom homes. If this sounds like every other luxury community you’ve come across, read on. The Lake Club has a look and feel all its own and is even a designated “green” area of the Ranch, meaning all homes meet strict standards for energy efficiency, clean indoor air, sustainability, and drought-resistant landscaping. The Lake Club embodies the Tuscan look with scenic lakes, decorative bridges, and a lush landscape with wide open spaces that will make you feel as though you should be sitting at a café table eating cheese and fresh fruit while sipping on a full-bodied red wine. Its one-mile park is ideal for taking in some fresh air during a stroll and its Grande Clubhouse will make you feel like a Duke or Duchess with its day spa and concierge services. Aside from these features, The Lake Club is further prepared to eradicate the stress of the day and help you maintain an active and healthy lifestyle with a resort style heated swimming pool and spa, tennis courts, and more. Each neighborhood within The Lake Club adds charm to the new home community by providing atmospheres that complement its overall look. Sarasota custom home builders strive to create luxury homes fitting of the design, as can be found in London Bay Homes’ unique Matera neighborhood. Matera features Old World comfort and charm extended from its luxury villas to the beautiful lake views that lie adjacent to each of the 35 home sites offered in the neighborhood for a beautiful blend of design. Villa homes in this neighborhood range from 2,500 square feet to more than 3,500 square feet, and each floor plan chosen provides ample opportunity for customization by America’s Best Builder, London Bay Homes. Matera is also the only neighborhood in The Lake Club that features maintenance-free living, with landscaping, pool, and exterior maintenance provided. Estate homes are also available in The Lake Club and can range from 4,000 square feet to more than 14,000 square feet. When you build your estate home with London Bay Homes, you can choose between a fully-customizable home design from our Reserve Collection or you can start from scratch and bring your One-of-a-kind dream home to life with our in-house team of architects and designers. Our goal is to make your home reflect who you are and the lifestyle in which you live, so our professional team will work with you every step of the way to ensure it is as unique as you are. 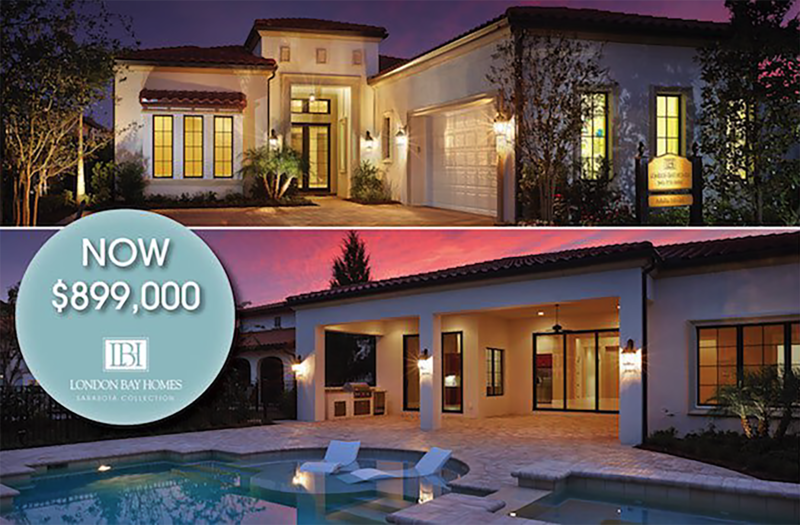 Outside of your luxury home community, homeowners can revel in knowing they are living in Lakewood Ranch, an award-winning master planned community with A-rated schools, unique shops and boutiques, business parks, and a hospital and medical center. It also includes five masterfully designed golf courses, an athletic center with fitness, tennis, aquatics, the Sarasota Polo Club, and the Sarasota Cricket Club. Just minutes from The Lake Club is the dedicated Main Street commercial district of Lakewood Ranch, an outdoor venue that combines all of the elements of an ideal downtown with specialty shops, boutiques, restaurants, a movie theater, a miniature golf course, and much more for a one-stop shop to fun and relaxation. The Lake Club is also moments away from the white sand beaches of Florida's Gulf Coast where you can enjoy beach resort living year-round and close to more than 150 miles of sidewalks and trails, community parks, lakes and nature preserves sharing dramatic landscapes with forest, and wetland preserves abundant with native wildlife. Contact us if you are intrigued by the beauty, luxury, and lifestyle of The Lake Club in Lakewood Ranch or schedule your tour of one of our many luxury model homes available to start your path towards luxury living.